In this section we describe Cluster observations of large-scale Kelvin-Helmholtz (KH) rolled-up vortices at the flank magnetopause. 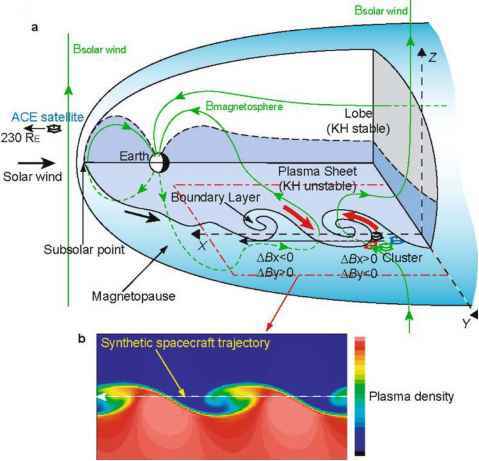 According to theory, the nonlinear phase of the KH instability is a necessary condition for the transport of solar wind into the magnetosphere via this process. While reconnection between solar wind and terrestrial magnetic fields can readily account for the formation of the LLBL during southward IMF conditions, there is presently no consensus as to how the solar wind plasma populates the low-latitude boundary layer when the IMF is oriented northward and parallel to the geomagnetic field. In this case, reconnection is less efficient or absent at the low-latitude magnetopause although, as already mentioned earlier, there is a suggestion that simultaneous northern and southern cusp reconnection (i.e., at remote sites) could result in the formation of the LLBL (Song and Russell, 1992). Fuselier et al. Figure 10.12. 3-D cutaway view of Earth's magnetosphere showing signatures of Kelvin-Helmholtz instability (KHI). (a) The KHI occurs at the interface between the magnetosheath and the plasma sheet because the plasma energy dominates in both regions, whereas it does not occur at the surface of the lobes where the magnetic energy dominates and the magnetic tension prevents it from deforming the magnetopause. Consequently, the KH vortices evolve only along the low-latitude magnetopause and only low-latitude portions of the magnetospheric and magnetosheath field lines are entrained into the vortices, inducing characteristic field perturbations in regions off the equatorial plane where the Cluster spacecraft were located. (b) Vortex structure resulting from a 3-D numerical simulation of the KHI. Colour-coded is the plasma density in an x-y cross section cut below the equatorial plane. The density, velocity, and magnetic field variations predicted when a synthetic satellite passes through the centre of the KH vortices are shown in Figure 10.13. (From Hasegawa et al., 2004). (2002) pointed out that non-simultaneous reconnection (with reconnection in one cusp first and in the other hemisphere much later) can also give rise to an LLBL on closed field lines on the flanks. Several candidate local-entry mechanisms unrelated to reconnection have also been proposed, one being the Kelvin-Helmholtz instability (KHI). This instability could occur along the flanks of the magnetosphere where the magnetosheath flow is fast relative to the stagnant magnetospheric plasma (Miura, 1984), as illustrated in Figure 10.12. Numerical simulation models (Thomas and Winske, 1993; Fuji-moto and Terasawa, 1994; Huba, 1996; Nykyri and Otto, 2001; Matsumoto and Hoshino, 2004; Nakamura et al., 2004) suggest that fast plasma transport across the magnetopause can be accomplished by the KHI only when the KHI has grown sufficiently to form rolled-up vortices which can engulf plasmas from both sides of the magnetopause. In these models, the collapse of, or reconnection within, such a vortex (in the nonlinear phase of the KHI) is responsible for the plasma transport. Multiple and quasi-periodic magnetopause encounters by single spacecraft and vortex-like flow perturbations near the boundary have been reported and are often interpreted as representing surface waves or vortices excited by the KHI (Ogilvie and Fitzenreiter, 1989; Kivelson and Chen, 1995; Hones et al., 1981; Fairfield et al., 2000; Fujimoto et al., 2003). But as long as these signatures are observed only by a single spacecraft one cannot tell unambiguously whether the KHI has reached its nonlinear stage to generate rolled-up vortices, which are crucial ingredients for plasma transport, or they are just ripples or small-amplitude KH vortices on the magnetopause surface. The KH rolled-up vortices, expected to form at the magnetopause, have complex structures, such as vortical plasma flow and a filament-like high density region intruding into the low density (magnetospheric) region (see Figure 10.12). To resolve such complex structures in the KH vortices, multipoint in situ measurements as carried out by the Cluster mission are essential, as are comparisons with 3D simulations. Using Cluster multi-spacecraft measurements, Gustafsson et al. (2001) and Owen et al. (2004) reported the steepening of waves along the flank magnetopause. These observations could be interpreted as evidence for the KH instability in the process of becoming nonlinear at the magnetopause (see Section 'Surface Waves' in De Keyser et al., 2005). 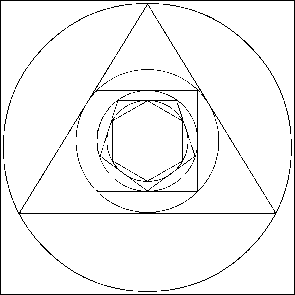 Figure 10.13. Detection by Cluster of large-scale plasma vortices on November 20, 2001 (20:2620:42 UT). The satellites were 3 Earth radii behind the terminator and were separated by ^2000 km from each other. Time progresses to the left and has been translated into the position of the spacecraft. a, the omni-directional energy spectrogram of ions observed by the Cluster 1 spacecraft (C1); b, the C1 ion temperature. The blue arrows mark approximate locations of the magnetopause; c, the plasma density variations showing their similarity to that predicted by the numerical simulation (thick grey curve); d, the plasma density colour-coded and projected along the spacecraft trajectories. The y-axis is orthogonal to both x and the direction of the averaged magnetic field, Bmean, and points outward along the magnetopause normal; e, f, the x-y projection of the velocity and magnetic field deviations from the average velocity and magnetic field, respectively (C1:black, C2:red, C3:green, and C4:blue), along with the behaviour predicted by the simulation (black arrows shown in the lower part of panels e and f). The red vertical lines mark the approximate centres of the vortices. (From Hasegawa et al., 2004). the multi-spacecraft information (Figure 10.13e). The flow vectors, transformed into the frame of the vortices and viewed from the north, rotate anticlockwise around the center of the vortices (marked by the red vertical lines in Fig. 10.13) as expected at the duskside magnetopause. Near these vortices, the density observed by the Cluster 1 spacecraft (C1) located on the most magnetosphere side of the magnetopause (marked by the blue arrows in Figure 10.13 b was often higher than that observed by C3 or C4 (Figure 10.13 c-d). These instances of higher density at C1 are marked by red bars in Figure 10.13 c. Such high density regions appear to be connected to the dense solar wind on the anti-sunward side, for example at 20:27:30 UT in Figure 10.13 d, rather than detached from the solar-wind region. This feature is consistent with the simulation result (Figure 10.12 b) and indicates that the dense regions result from the roll-up of the solar-wind plasma associated with the growth of the KHI, not from the impulsive penetration process (Lemaire, 1977). The density variation observed by C1 (black curve in Figure 10.13 c) is similar to that expected when a synthetic spacecraft moves through the central portion of the simulated vortex (Figure 10.12b) and crosses the magnetopause back and forth (as shown by the thick grey curve in Figure 10.13 c), suggesting that C1 was in the vicinity of the vortices center. In addition to the density and flow signatures of the rolled-up KH vortices, a unique magnetic field perturbation pattern was identified associated with these vortices. This pattern should appear only in a 3-D configuration of the magnetosphere where the KH-unstable plasma sheet is sandwiched between the KH-stable northern and southern lobes (Figure 10.12 a). A numerical simulation of the KHI which considers this 3-D magnetosphere-like geometry predicted that this field perturbation manifests itself in the boundary regions between the plasma sheet and the lobes. This is because only low-latitude portions of the field lines surrounding the magnetopause are engulfed by the vortices while those at high latitudes are unaffected (see Figure 10.12 legend). Fig 10.13 f shows that magnetic field perturbations seen in the high density (solar-wind) region (ABx > 0 & ABy < 0) and in the low density (magnetospheric) region (ABx < 0& ABy > 0) have polarities in precise agreement with the 3-D KHI effect on the magnetic field on the southward side of the equatorial plane where Cluster resided (Figure 10.12 a). The combined plasma and magnetic field observations provide unambiguous identification of rolled-up vortices at the magnetopause, which, according to theory, is a necessary ingredient for plasma transport via KHI. (Paschmann et al., 1979; Sonnerup et al., 1981) and D-shaped ion distributions characteristic of reconnection (Cowley, 1982; Fuselier et al., 1991) were not observed. To exclude, conclusively, the possibility of remote (high-latitude) reconnection supplying the plasma observed at low latitude is more difficult. It was noted, however, that the boundary layer ions, detected off the equator, were flowing poleward in precisely the same direction as the magnetosheath flow. This seems inconsistent with the simple idea that high-latitude magnetopause reconnection, which would result in an equatorward flow at the observation point, produced the observed LLBL. 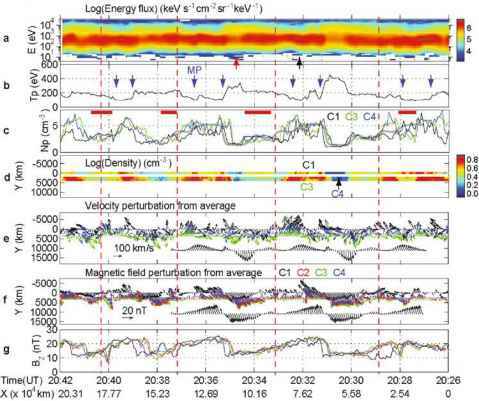 These observations seem to imply that reconnection did not occur locally and high-latitude reconnection did not populate the plasma in the KH vortices. However, one cannot rule out the possibility that reconnection occurred in the past (but is no longer active) to produce a boundary layer which is now rolled-up by the KHI. Proving the actual occurrence of such a scenario is, however, even more difficult. Based on the velocity measurements during the vortices interval, Hasegawa et al. estimated the length scale of one vortex to be 40,000-55,000 km. According to theory (Miura and Pritchett, 1982), the wavelength of the fastest growing KH mode is approximately 8 times the initial total thickness of the velocity shear layer. Thus, the initial thickness of the velocity shear layer is inferred to have been roughly 5,000-7,000 km. Furthermore, according to numerical simulations, the width of the sufficiently developed KH vortices equivalent to that of the plasma boundary layer reaches about 4 times the initial thickness. It is therefore inferred that a boundary layer with thickness in the range 20,000-28,000 km had formed in the most KH-unstable low-latitude regions near, or further downstream of, the observation site. The Cluster results indicate that the KHI occurs at the flank magnetopause and that it may lead to solar wind entry, perhaps via non-reconnection associated processes, for northward solar-wind magnetic field. But the microphysical processes that cause the plasma transport in the KH vortices, which would control the rate at which mass and energy from the solar wind are transferred, remain to be understood.